According to Sistema Eléctrico Nacional (SEN), Costa Rica’s national utility company, the nation completely avoided using its oil fired power stations to supply the electricity grid throughout the months of January, February and, thus far, in March as well. At the time of writing, Costa Rica’s electricity supply has been fossil fuel free for 75 days. Now, I accept that Costa Rica is rather different from most countries around the world. It has a vast supply of renewable hydroelectric power to call upon. But let’s not scoff at this. Here we have a country that is doing what is necessary to supply electricity to consumers by making use of the sustainable resources that are available to it. Surely that’s worth celebrating? 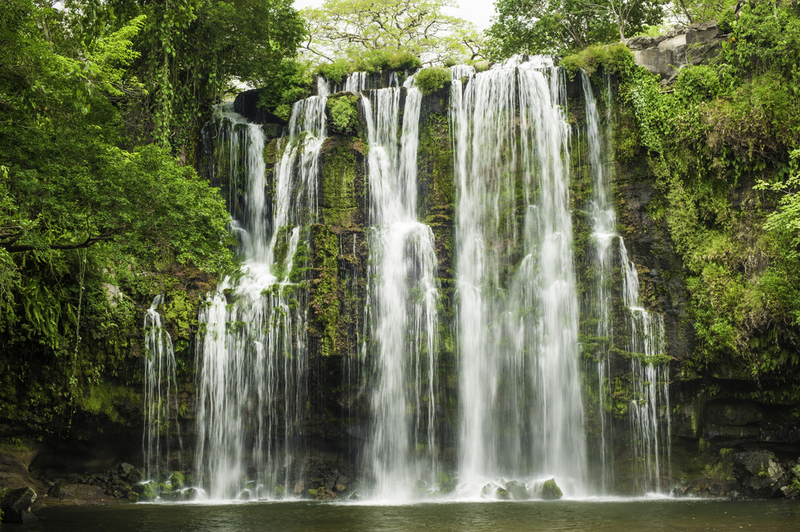 The favourable rainy conditions during the early months of 2015 allowed Costa Rica’s four reservoirs to reach levels above those normally predicted by the Costa Rican Electricity Institute (ICE). These four reservoirs, along with other hydroelectric plants, are central to Costa Rican energy production. They are currently being used in conjunction with geothermal, wind, biomass and solar energy sources. In 2014, WWF reported that Costa Rica ranked first among Latin American countries for use of clean and renewable energy sources. The report acknowledged Costa Rica’s efforts to diversify its energy sources beyond hydroelectric power. Maybe we should take a leaf out of Costa Rica’s book and redouble our efforts to reduce our dependency on carbon in 2015. We don’t have to follow the Costa Rican route either. We can pursue greater energy efficiency, nuclear power, energy storage and carbon capture. And maybe we can switch out a few lights too. Action is needed to mitigate climate change now. As US President Barack Obama says in his Earth Hour video: “We are the first generation to feel the impact of climate change and the last generation that can do something about it”. Chemical engineers are well placed to deliver real action on climate change. Switching out the lights is only the start. If you are working on a solution to combat climate change, why not get in touch and share your story. I am afraid that I have never heard of the Earth Hour and I am reading this blog after the event. However, my wife and I are working to reduce the impact of our lighting by moving to LED bulbs. Part of the problem is that we already have the fluorescent bulbs which last for quite a while and there is little environmental benefit in replacing a bulb until it has failed. It is interesting to note that the efficiency scale has had “A+” and “A++” added presumably because when the scale was invented nobody anticipated getting bulbs as efficient as LED bulbs. It amazing how fast this is moving. I wonder how long it will be before the scale has to be extended again?